Stamps exhibited on this website are from my own collection, sorted by date and Scott Stamp Catalogue numbers. Please click on the image for the collection you want to browse. There are of course missing ones but my collection never stopped growing. I am trying to fill in the gaps one by one. This is an ongoing project that will fill up my whole life. 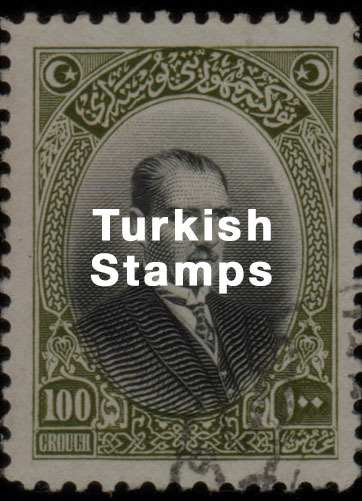 Turkey has a long history of stamps. The journey started in 1863 with Tughra stamps and flourished from then on. 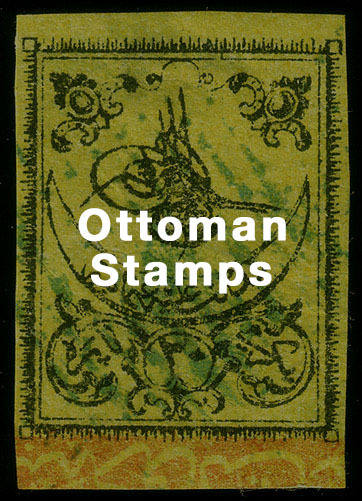 Ottoman era have been tough to find information since there are not much of interest amongst stamp collectors. But when one gets into research he finds a whole new galaxy of topics waiting to be researched.